MINI PENNY: Prints Now Available! I'm so excited to announce that I am now offering prints of a few of my paintings! Due to so many messages and comments over the years, I decided to make 8x10s available to you. Each print is on 100% cotton Edition Etching Rag with Ultrachrome Archival Inks. The prints are $25 each (shipped!) 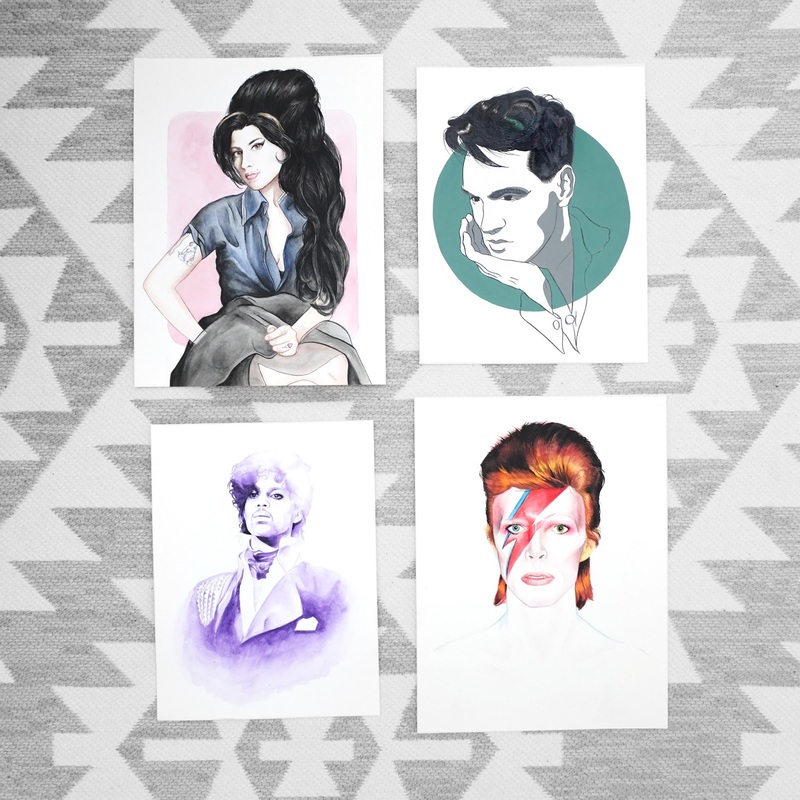 or you can pick up the memorial bundle (Amy, Prince, and Bowie) for $60 shipped. Head over to the Mini Penny Shop to get yours! They're going fast and the run is very limited.